Halfway through our 25th year of downtown revitalization, downtown Denton seems to have become an “overnight” sensation! This is a good time to reflect on where we’ve been and where we’re going in the next 25 years. 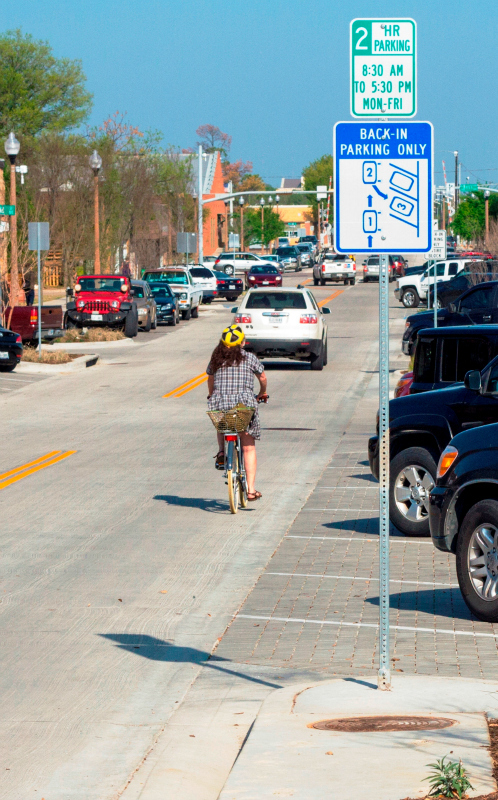 The Denton Main Street Program (DMSP) was self-initiated in 1989 and became a Certified Main Street City in 1990 (the first year that urban cities were allowed in the program). There have been many milestones along the way. Denton County applied for the Texas Historical Commission’s Texas Historic Courthouse Preservation Program and was among the phase two recipients receiving $462,000. The third funding phase included an additional renovation grant in the amount of $2.5 million. This restoration brought the Courthouse-on-the-Square back to its original grandeur and is a source of community pride. Another historic victory is the Campus Theatre. This project turned an abandoned movie house into a vibrant live performance venue, which is booked more than 300 nights a year. Most of the $1.2 million used to restore the building was raised from local resources. Since the restoration, restaurants, bars, live music venues, and a variety of new retail stores have sprung up in the vicinity of the theatre, proving that historic preservation equals economic development. In 2000, the square was named a National Register Commercial Historic District. The city has adopted property appearance guidelines for downtown, along with a tax incentive program and two grants to encourage voluntary compliance with the guidelines. In 2007, the city council created a Downtown Reinvestment Grant ($25,000 from 2007–2011; $100,000 a year, currently) to assist those who adaptively reuse historic buildings in downtown. In past years, this has been funded through the city’s general fund, but in FY 2013–14, it was funded through the city’s alcoholic beverage tax collections. Since the inception of the program, almost $16 million has been spent on the redevelopment of downtown in direct relationship to this grant. For every dollar the city has granted, $37 has been reinvested by the private sector. The purpose of the program is to give us design control on renovations and new construction downtown. Thirty-five projects have received grants through this fund. “A lot of projects that have improved downtown would not have happened, if not for this grant,” said Marty Rivers, chairman of the Downtown Task Force, which oversees the grant process. 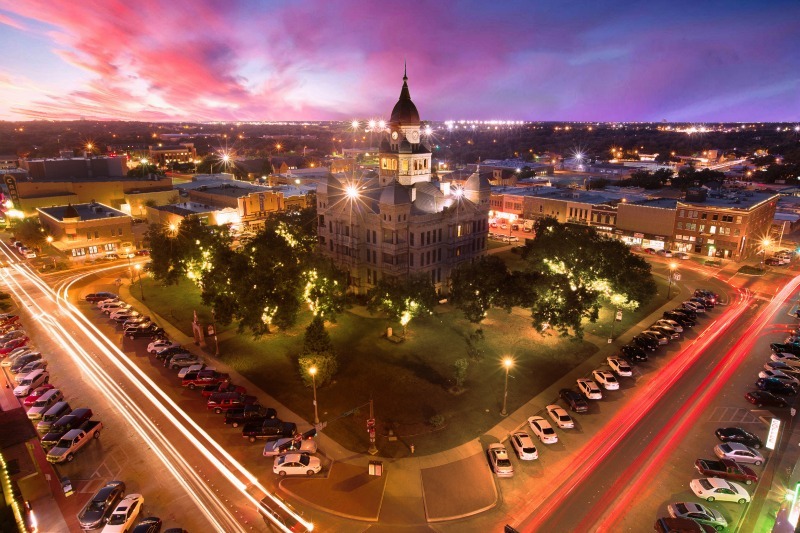 Downtown has been dubbed the “living room” of Denton, and is host to many events, not all of which are hosted by DMSP! Six events—First Friday Denton, Thin Line Film Fest, 35 Denton, Denton Arts and Jazz Festival, Denton Blues Festival, and Oaktopia—are held downtown, but produced by other entities. 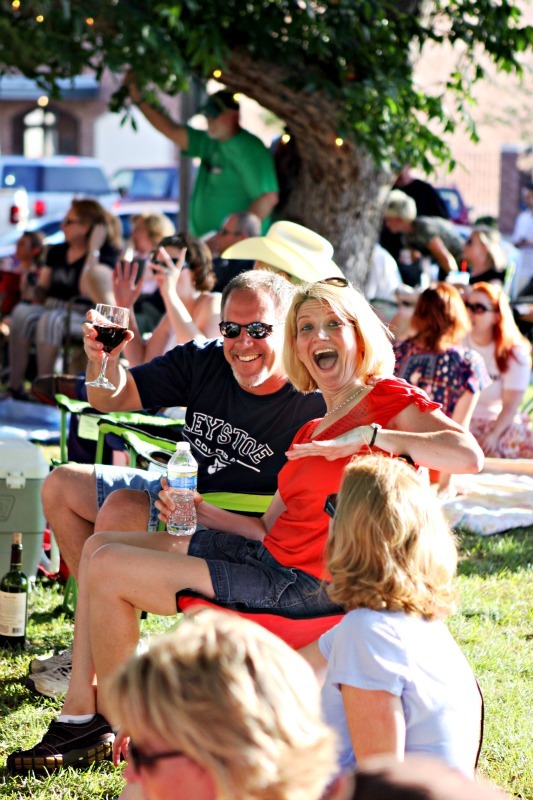 DMSP organizes and produces the Thursday Twilight Tunes concert series; Arts, Antiques and Autos Extravaganza; Wassailfest; and several retail events each year. 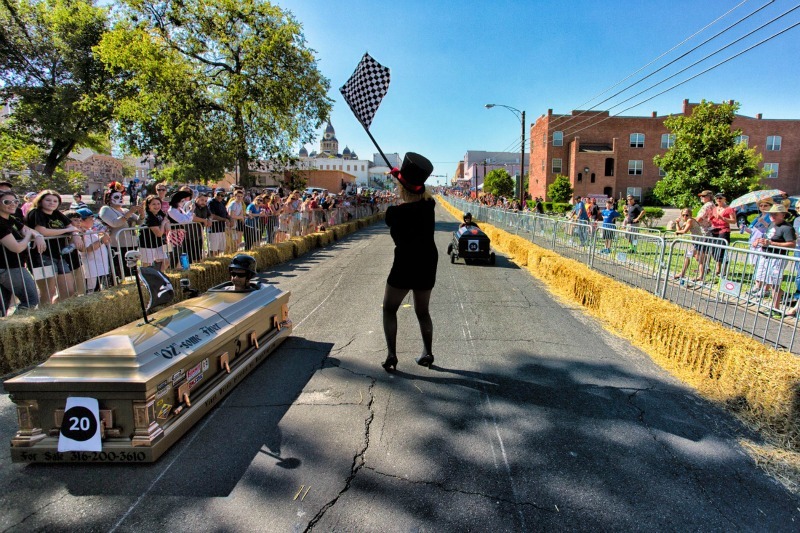 All these events raise awareness and bring new people to the area to support our revitalization efforts. 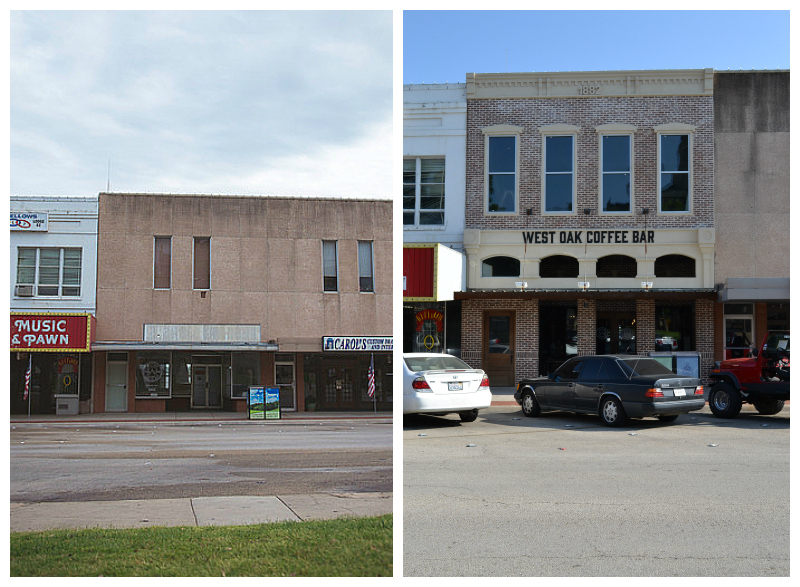 Over the years, the DMSP spearheaded major public improvements in downtown Denton. Since the inception of the program, we have buried the utility lines downtown, reconfigured curbs, added ramps and corner extensions to accommodate the American with Disabilities Act, added parking spaces, and replaced period streetlights. The recently completed East Hickory Street renovations have made the stretch between the Denton County Transportation Authority’s A-Train station and the square a great place to walk, drive, or ride a bike. Downtown residency has grown exponentially in the past few years. Denton’s first loft apartment was built in a second story on West Oak Street in 1992. Downtown living space slowly increased over the next 15 years as the demand increased. Now, there are approximately 2,000 residents within a four-block radius of the Courthouse-on-the-Square living in lofts, apartments, and townhomes. The Downtowners, a downtown residents’ organization, meets monthly. Many are young professionals who choose to live in a dense area where they can walk or bike to work, catch the commuter “A-Train” to Dallas, and enjoy music and entertainment, all within a one- to two-mile radius. I was asked today when our downtown revitalization would be “done.” My answer was “Never!” We have many new opportunities still ahead of us. The Railyard, a transit-oriented development by the DCTA A-Train station is currently underway, and the Denton Community Market is looking to move to and expand in the same area. With apartments, retail, and office space, I expect this will be the new hot spot, on the east end of downtown. Our boundaries continue to shift and expand, as we explore new definitions of downtown Denton. In the past 25 years, 415 rehabilitation projects have been completed; $98 million has been reinvested in the area, with a net gain of 313 business starts, relocations, and expansions; and 2,054 new jobs created.